If you haven't heard of the Instant Pot, welcome to the internet. 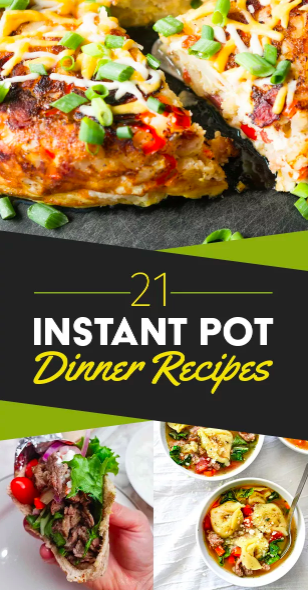 Please take a seat and listen to this tale of ease and delight, hosted by the one and only Instant Pot. Once upon a time, we tried this (currently $41+ but usually) $100 gadget for the first time. 1. You can cook some of your favorite meals in less than half the time that it used to take. 2. The Instant Pot cooks certain foods much better and (with the exception of using the microwave), a whole lot faster than any method — and in bulk! 3. You can caramelize onions in it. Onions! And make 6-minute hard boiled eggs! and saute things right in the pot! The tl:dr is that this one device works as a pressure cooker, slow cooker, rice cooker, steamer, saute/browner and warmer all in one. Among other things mentioned above, you can cook dry un-soaked beans, grains, meats, soups and stews, veggies, yogurt, pastas with sauce, and even a whole entire chicken. You can also make a CHEESECAKE in this thing. A cheesecake!!!!!!!!!! With your own hands in your own kitchen! Impress everyone you know!!!! If you aren't convinced by our testimony, maybe you'd like to read the 32,000 gushing five-star reviews on Amazon. Many of them are works of literature themselves, some up to 2,500 words on how and why to use your pot should you accept this mission. If you're like, cool, but what exactly can I make in this thing? we got you. If you're mostly convinced but just want to know if it's easy to CLEAN, guess what: it is. The inner pot is dishwasher-safe, though many reviews recommend leaving it to soak overnight before cleaning for tough caked-on foods. In conclusion, if you've been thinking about getting an IP for a while and haven't done the thing, NOW IS THE TIME! These deals won't last, and you probably won't see an IP this cheap until Prime Day 2018. Get one on sale for up to 37% off today: $49 for the 3-qt at Amazon, $64 for the 6-qt at Walmart, and $82 for the 8-qt at Amazon.